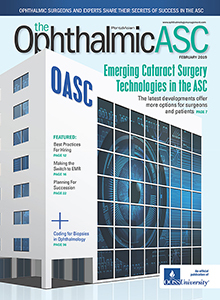 Join us in Washington D.C. at OOSS Perspective 2018 @ ASCRS/ASOA for a complimentary lunch and the opportunity to…EXPLORE the core mission and strategic initiatives of OOSS…EXPERIENCE the power of informed insight amidst a changing political and economic landscape with Mike Romansky, JD, Washington Counsel, and George F. Will, America’s foremost political commentator and columnist…And ENGAGE with Mr. Will and our panel of OOSS leaders and partners to conceptualize a future for outpatient ophthalmic surgery. As always, the OOSS Perspective and luncheon is free for OOSS members and their guests but does require an RSVP. The ASCRS/ASOA sessions proceeding and following OOSS Perspective 2018 require a separate registration fee payable through their respective websites. 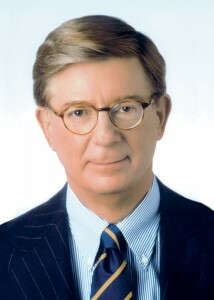 Time: 11:00 a.m. to 12 p.m.
Keynote Speaker George F. Will – Pulitzer Prize-winning columnist George F. Will is the country’s most widely read political columnist, as well as its foremost conservative voice. His popular twice-weekly column for The Washington Post reaches nearly 475 newspapers throughout the United States and Europe.